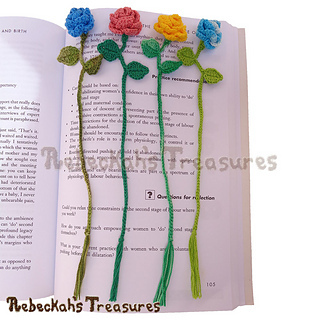 Bookmark is about 9" (23cm) long. 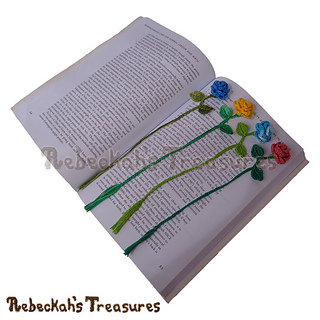 Are you an avid reader, who loves roses? Or know someone who does? 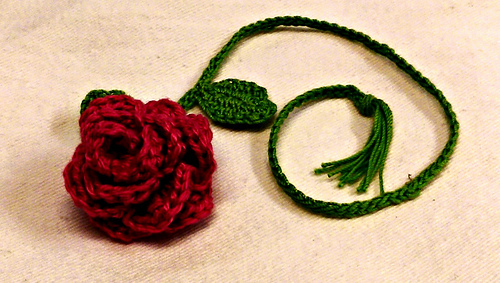 Then, this Ring Around the Rosy Bookmark crochet pattern is just for you! 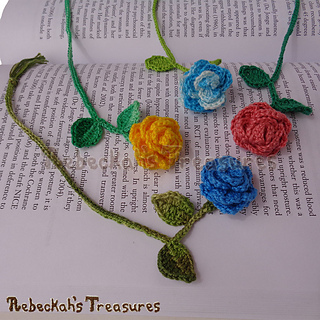 This accessory pattern includes written directions for crocheting gorgeous rose bookmarks like these pictured. 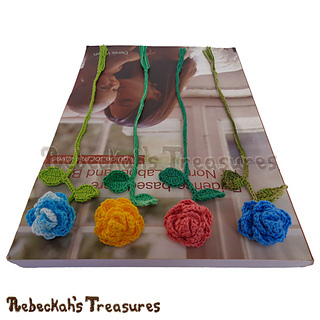 Bonus video tutorial is also available. 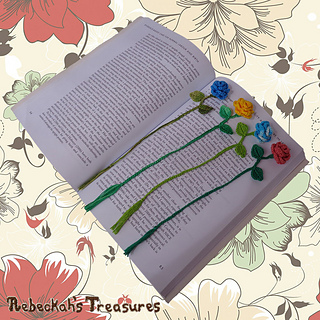 FREE Video Tutorials via Rebeckah’s Treasures’ web-based blog, and YouTube Channel - here for the rosebud and here for turning it into a bookmark. Written instructions is only available for purchase as a 5-page, ad-free, printer friendly PDF digital download - ONLY $3.75! 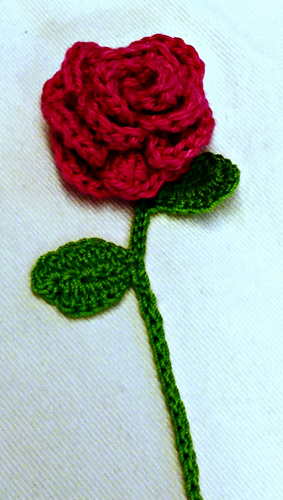 Rosebud is approximately 1” (2.5cm) in diameter. 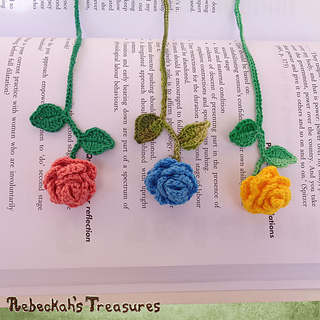 Bookmark is about 9” (23cm) long from rosebud to tassel tip. 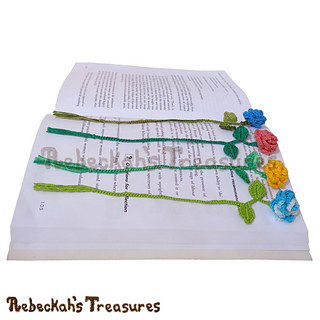 Note: This size is an approximate. 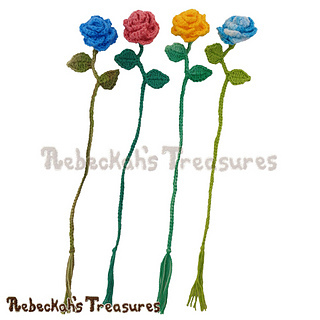 Your sizing may differ depending on your chosen yarn, hook size and tension. 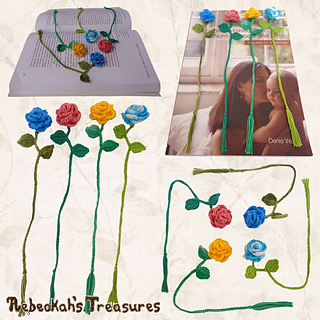 Adjust these factors to get desired size. 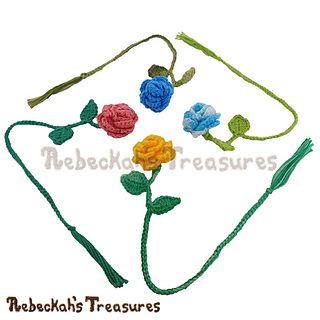 A variation of this pattern for a Ring Around the Rosy Choker is now available!